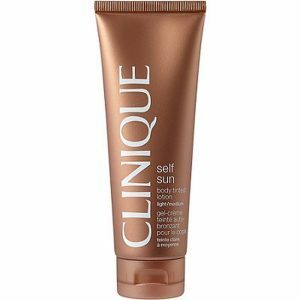 Clinique Self Sun™ Body Tinted Lotion is marketed as a self sun tanning lotion that retails for less than $30 online and claims it’s oil-free. 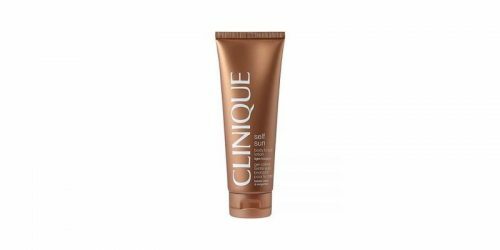 According to the manufacturer Clinique Self Sun™ Body Tinted Lotion is Dermatologist-Tested and it is non-acnegenic. 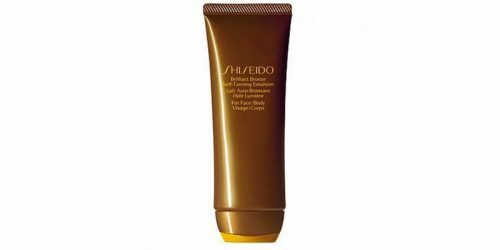 This light/medium tan is supposed to last about three days and may develop within hours of being applied. For best results, exfoliate first with a body scrub. (No loofahs--they cause streaking.) Smooth over skin a little at a time. Blend evenly, using horizontal then vertical strokes to prevent gaps. Go light on elbows, knees, ankles and feet. Wash hands with soap and water immediately after application. Wash hands with soap and water immediately after application. Allow 15 minutes dry-time before contact with clothing and hair. Wait at least 4 hours before swimming, showering or applying sunscreen. A self-tan does not provide sun protection. Always wear daily sunscreen with SPF 15 or higher. The manufacturer does not recommend the use of a Loofah as it may cause streaking. 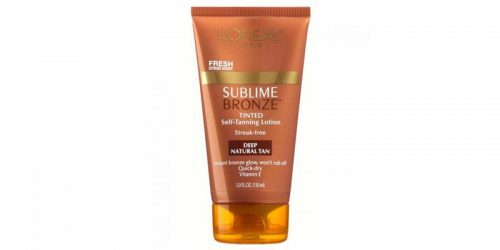 Clinique Self Sun™ Body Tinted Lotion should not come in contact with clothing if it is not dry, it could stain clothing. This product is cost-effective but must be rubbed in to the skin. It is also available in a medium/deep color.